No injuries, serious damage inflicted on vehicles. This morning, Arabs threw rocks at several Israeli cars passing between the Jewish communities of Elon Moreh and Itamar in Samaria. Nobody was wounded, but serious damage was caused to the vehicles. 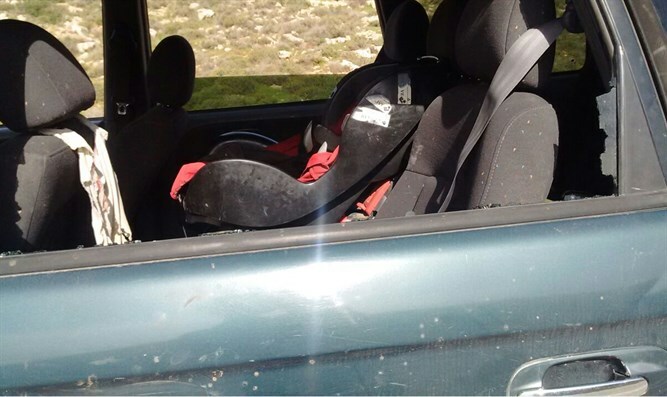 In particular, the car of one woman from Yitzhar in Samaria was pelted with rocks and severely damaged. Last week, security forces arrested six Arabs who threw rocks at Border Policemen in the Jerusalem area. After security forces subdued the attackers, they were surprised to find that three of the attackers were women. Initial investigations revealed that the attackers were, in fact, students at Birzeit University north of Ramallah, residents of Arab villages near Shechem, in their twenties.